Keeping grain sampling simple. What I’ve learned along the way | Ag Exchange Group Inc. Grain sampling is one of those best practices at harvest that we sometimes take for granted. It doesn’t take much to do it well, but we need to be consistent and thorough. And once you have the results, they are fundamental to your marketing and inventory decisions. Let me share my introduction to grain sampling. My first fall working on a large farm was a stressful one. I was a new employee, a teenager, and there was a lot to learn. My biggest fear was making a mistake. I wanted to work hard and do a good job. I recall the first day hauling grain with the 4 ton. They ran me through everything to do and everything not to do. That afternoon, I was hauling barley solo and was trying so hard not to do the 103 things they told me not to do, that I forgot one very important think that I was supposed to do. The oversight? I didn’t grab adequate scoops of grain from every load to get a good sample of what was in the bin. The crop was good quality and we were going to go for malt with it. The sampling was important. And after that first day of hauling grain for my new employer, and coming up short on the expected amount of grain samples, I received some coaching that sticks with me to this day. Sample more than less. If you have too much you can always throw it in the bin. Having more samples and consistently grabbing the same amount from every truck will create the best representative sample. Once you have those samples then what? Be sure you have an adequate amount to represent the bin. Then comes the grading. With the numerous grain reps running the roads looking for samples, you’re sure to get a good idea very quickly of the grade. One piece of advice – make sure you get answers on all the samples you submit to them. It’s important to keep track of all of the results. Another way to get samples graded is the CGC Harvest Sample Program. Now I am not taking anything away from any third party grading company, but through your check off program you’ve paid for the CGC program so why not use it! Plus, the CGC holds the standard in grading in Canada so it is probably the best benchmark for you to use. Once again, when you get the results make sure you keep track of it and manage the information. Ideally you should take some time and compare the various samples’ results and grades you have been given from all your sources. 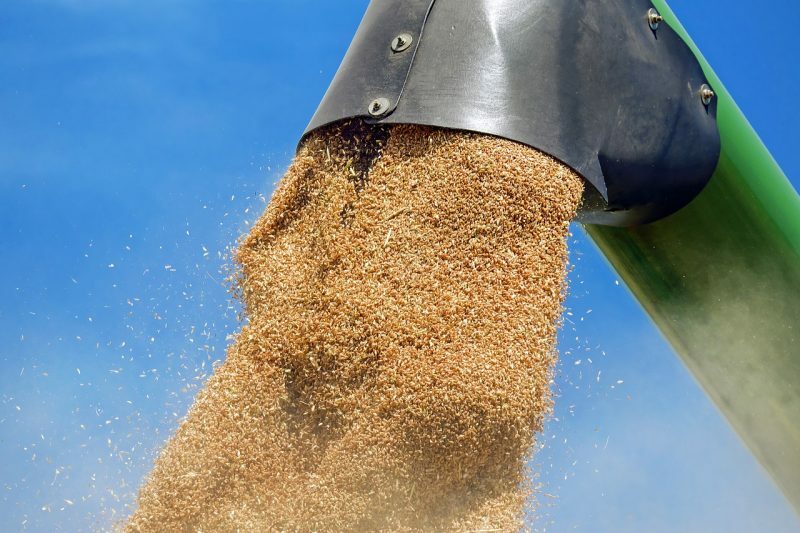 Grain company grades – are you getting gamed? I hear this from time to time from a small but vocal minority, and can say from my past experience as a general manager at a major line company, this is false. You are not getting gamed by the grain companies. Let’s start by looking at the grain companies. They invest thousands of dollars every year in training their staff on grain grading. They also need to ensure their grading rooms and equipment meet the standards set by the CGC. Then let’s look at their teams at the terminals. These employees live and volunteer in their local communities. They’re not “gaming” the customers who could be their neighbours or the people they see at the curling rink. To be candid, from my personal experience, the best local grain graders have a knowledge and passion for detail that I could never do when it comes to grain. They spend countless hours at their work. They give up precious summer time for annual retraining so they are the best at what they do. So, if you don’t like the grade you received, all I can say is approach it with an open mind. Sit down with those local experts and have them show you what they are seeing that results in the grade you are getting. If you still are not satisfied, then use a third party grading lab. Or take advantage of the Canadian International Grains Institute that runs a week long course for you to develop some expertise in grain grading. Just remember, sometimes you won’t get the grade you wanted. Grain grading isn’t about getting more and more results in hopes of getting the answer you want to hear. To sum it all up, keep it simple, get ample samples per bin, store them in a cool and dry place, get your grades done, and then work on your marketing plan for that product. Once you know what you have, you’re in a position to finesse and execute on your marketing plan. Grain grades help in decisions about when to sell and when to store grain. For example, there might not be much demand for a lower grade grain right after harvest, and storage might be the right decision for that bin. Those decisions go hand-in-hand with knowing what your local market is looking for. CXN360 has many options for you, from online inventory and records management of the bins and samples to an online cash marketplace for you to sell that crop once you know what you have.